Hold jackknife key button side up. 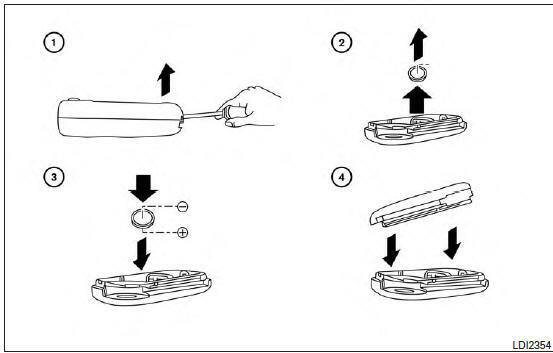 Insert a small screwdriver into the slit of the corner and twist it to separate the upper part from the lower part. Use a cloth to protect the casing. Replace the battery with a now one. Hold the battery by the edges. Holding the battery across the contact points will seriously deplete the storage capacity. Close lid securely as illustrated. Operate the buttons to check the operation.